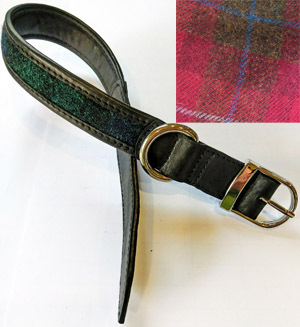 Medium size dog collar in red mix check Harris tweed. 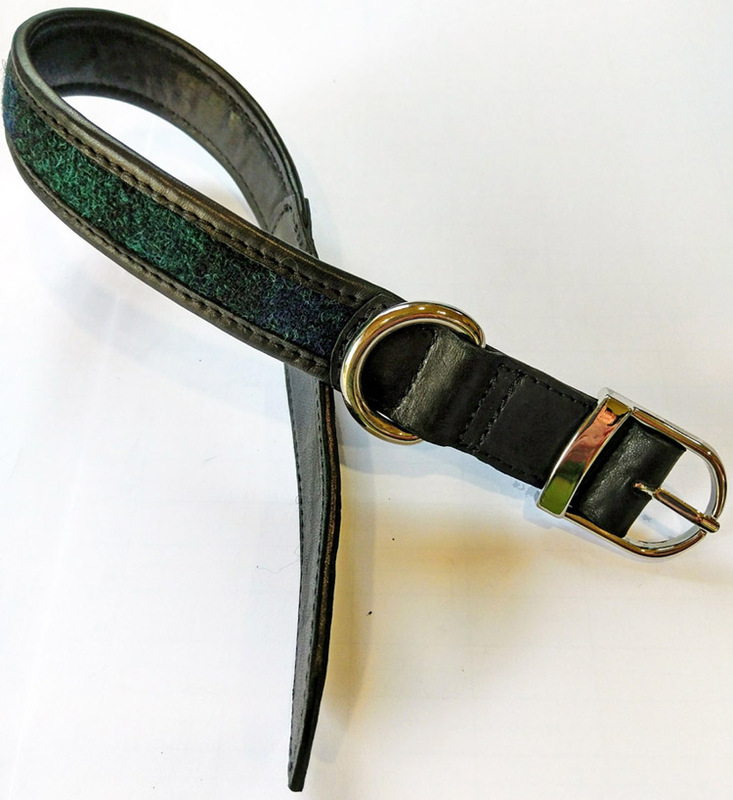 The photo shows our current sample of the same design in blackwatch check with black leather trim. 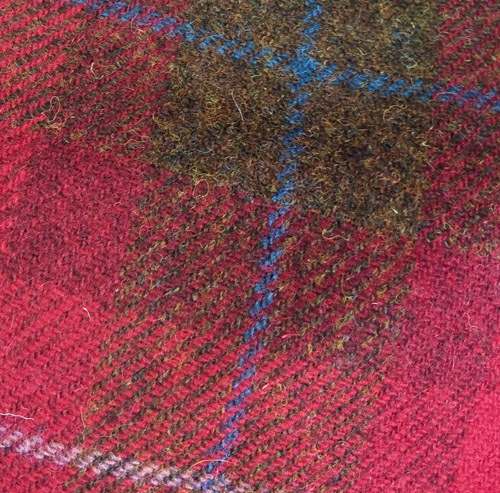 See the swatch for the red check Harris tweed. The red mix check will be trimmed with chocolate brown calf leather.